The fighting games were once the most popular titles on consoles. Over the years that trend has faded. Now though, stunning graphics and easy on-screen controls make them perfect for Android. That said, not all of them are worth downloading. Because of that reason to make the search for the perfect fighting game easier, we looked and we have one highly exciting and challenging fighting game for all you android users. Let’s see what the game is all about. What is JACK Adventure all about? 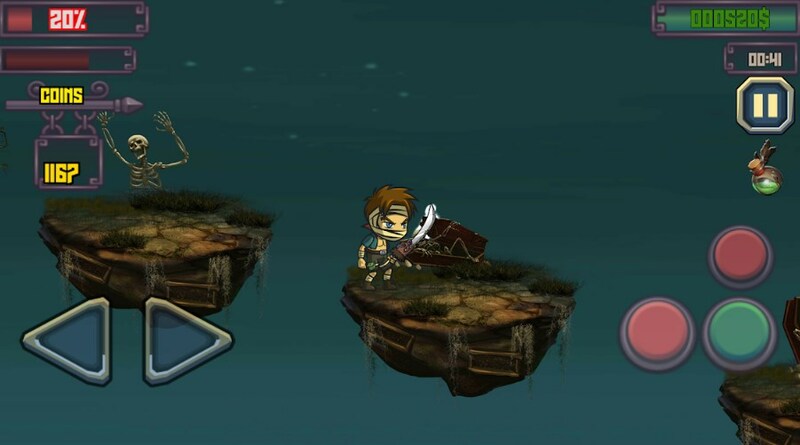 The JACK Adventure is an addictive and exciting adventure game which is easy to play, offering simple on-screen controls for fighting and helping the character Jack eliminate the world from the evil powers. Developed for android users, this game offers players to test their fighting skills and fight the evil monsters in different ways in multiple missions. With HD graphics and amazing sound effects, the player get to use powerful weapons for fighting the evil monsters and saving the world from them. This 2D fighting game is offering users challenging adventure gameplay where they need to help the main character Jack to roam forests, caves, snow and volcanoes, fighting and eliminating the evil powers to rid the world from them. On the game players get to fight in a world full of evil monsters using the screen controls to make Jake jump, eliminating them in different ways. With multiple missions offered, players will test their skills by eliminating all the evil powers and progressing in another more challenging mission. In every mission the player needs to collect coins as many as he can so he can get his high scores. When Jack is hurt, the game offers players to use an energy drink for healing him. The evil monsters are very powerful and because of that the player needs to collect energy that will be used for developing highly powerful weapons for fighting against the evil monsters. Players will need to keep Jack save and fight hard so they can eliminate the evil powers and rid the world from them. Download it on Google Play now for free to eliminate the evil powers using powerful weapons!